YouTube Channel FOMO Daily has already rated our fave Pinoy heartthrobs and our biggest Pinay celebs in their segment "For The Win." This time, a bunch of Americans were tasked to do the unthinkable: to choose between the hottest young actresses (with intense rival fandoms, mind you) Kathryn Bernardo and Nadine Lustre. I can sense fandoms going cray over this rn. 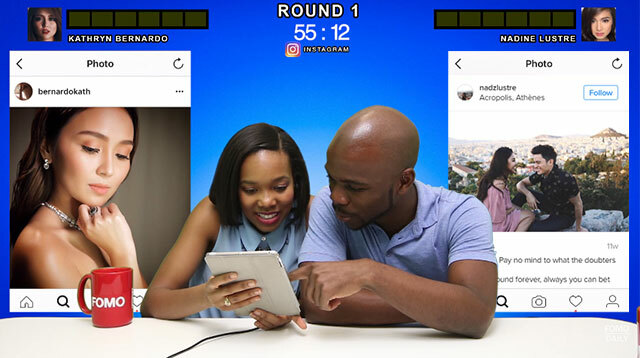 Moving on, FTW’s criteria for judging is really simple: whoever has the strongest IG game, most authentic music video, and the best movie trailer wins. I won’t be giving you any spoilers here so you better just watch the vid to see who ultimately wins.